Hey you there! Like music? Of course you do. Currently existing? Of course you are. Currently have the ability to read and write, possibly at the same time? 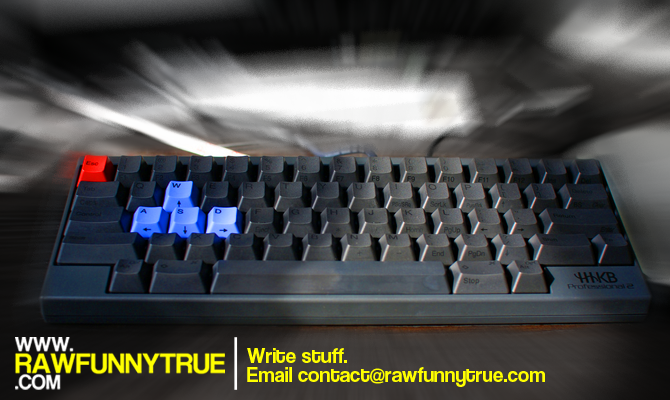 DING DING DING, that's right too – YOU should write for RAWFUNNYTRUE! With the wide range of projects coming up including reviews, interviews, acoustic sessions and straight up writing about new and awesomesauce music, RAWFUNNYTRUE needs talented writers just like yourself to write stuff that's raw, funny, and the opposite of false. Interested? Send a quick email to contact@rawfunnytrue.com for more details, or tweet @Rawfunnytrue, or you know, however else you feel would be an effective way to get in contact (as I live in a smoke-free home I will not respond to smoke signals, and I hate pigeons so no messenger rats please).